Coffee drinking in the 21st Century has become a considerably more complicated matter than it used to be. Since the coffee house scene first started to gain steam in the 1990’s, a greater variety of coffees, and a wider range of qualities, have become more and more a mainstay of modern life. Those of us who grew up in the 60’s and 70’s, or even before, were fairly limited to the bulk brands we found on our supermarket shelves, or the “diner coffee” we’d get at the vast majority of restaurants. That coffee has now come to be known as “first wave.” The “second wave” brought us the specialty coffee houses – first as a smattering of independents, usually furnished with second-hand sofas, bookshelves, and the occasional pool table, and then by Starbucks, Peet’s, Coffee Bean & Tea Leaf and the like. With consumer demand for ever more interesting and high-quality coffee growing so quickly, the next step in coffee evolution brought us the “third wave,” which are the heirloom, specially sourced and roasted coffees often referred to as “specialty coffees.” These can be available either as blends, or as single origins. There are advantages to both, but it’s single origin we will discuss here. Let’s start with the premise that no two lots of coffee beans have the same exact flavor profile. While every region has its own distinctive qualities, which are affected by the altitude, soil conditions, type of beans, and other factors, even the same farm can produce different end results year to year, based on such factors as rainfall, variations in temperature, etc. With blends, in which several different beans are combined to create a certain flavor profile, an expert roaster can work with the variations in flavor that come from different beans, grown in different seasons, under different conditions, to keep that flavor profile remarkably consistent. It’s as much craft and art as it is science. With single origins, however, each lot will have its own specific flavor, though certainly within the range of flavor that is inherent in the region where it is produced, and from the type of beans used. For the mass-produced coffees one might get at the supermarket, or even the popular blends available from chain coffee houses, the sheer quantity of beans needed, and the economics of operating on that scale, mean that the quality of the beans will not be the highest. In order to produce that much coffee, the farming, harvesting, processing, and roasting methods will be more of the “mass-produced” nature. For example, on any given farm, not all the beans (actually, the “cherries,” which are the whole fruit – the beans are essentially the pits inside the cherries) in a given growing season will ripen at the same time. In mass production coffee, though, all the cherries will be harvested at one time. For specialty, high-end single origin coffee produced in small lots, the farmer will spread the harvest out over the time needed to wait for all the cherries to ripen. These small lots, or “micro lots,” have very specific flavors. Some are more acid, some more mild, and expert roasters can gauge what roast level will suit them best. 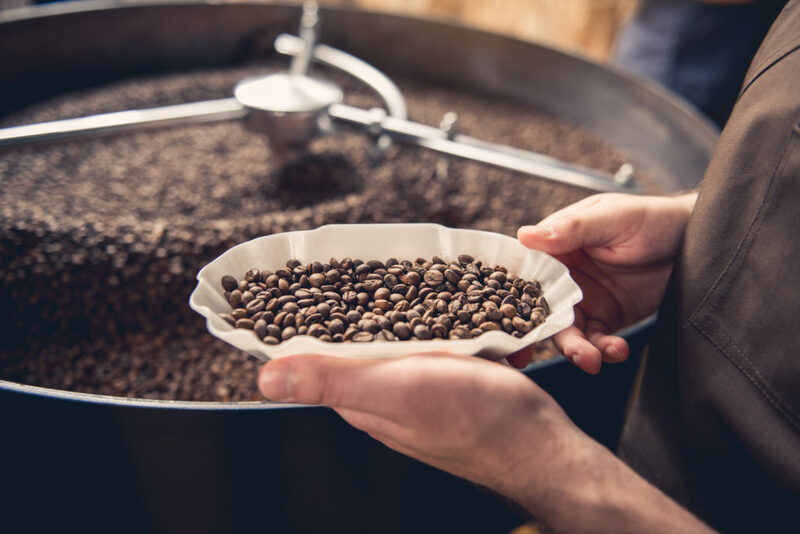 Some will fare better at a dark roast, and others will bring out more flavor with a medium, or even a light, or “blond” roast.” Just like with single malt Scotch, vs. blended, each individual single origin will have its own characteristics. So what’s the drawback to single origin coffee? Primarily it’s the cost. Because no corners are cut, and only the finest beans are considered worthy of being roasted and sold this way, the cost is of necessity a little higher. Also, while the quality should be very consistent across these single origins, the flavor profiles will be so specific that not every one will be to everybody’s taste. Ethiopians, for example, tend to be very bright and fruity, whereas Indonesians can be more earthy and robust. For the adventurous sort, who enjoys experimentation and experiencing all the wondrous variety that coffee has to offer, though, exploring the world of single origin “third wave” coffee can be highly rewarding. At Pure Coffee Club we’re working to keep the cost as reasonable as possible, and to bring you the best, most interesting single origins available, on a rotating basis. Where possible, those that prove particularly possible will be kept in stock for as long as the lots last. We welcome customer feedback, and would love to hear from our customers about what they think of our single origin offerings.